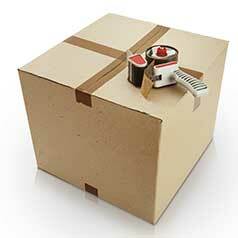 We only use double tick china packing boxes wrapped with unprinted newspaper (white paper). We only use this certain paper. We take the utmost care with China and Glassware as it can be easily damaged during the moving process. Again, we treat our customer’s property as if it were our own! Aladdin wraps each piece separately in unprinted newspaper; place them in packaging boxes standing on the edge. Aladdin wrap all bowls individually, then stack 2-6 together, wrap again and place them standing on edge in the packing boxes. Aladdin wraps the cup handles in paper, then wrap the entire cup, place them in packaging boxes with all handles pointing in the same direction to make it safer while packing and unpacking your everyday glasses individually. Aladdin uses white packaging paper, and a dish pack cartons with dividers, wrap each glass individually and stand on rim in box. 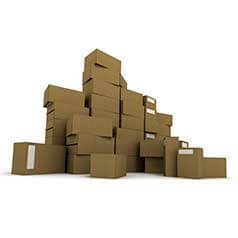 Our professional packers pack books standing on bottom edge in book boxes. Aladdin uses wardrobe boxes for handling clothing, other clothing, blankets and linens can be folded and packed in linen boxes. Aladdin uses large boxes. We stack them together with a few pieces of paper in between them. We remove shades and bulbs, wrap lamps in layers of paper and place in box on base. Wrap lampshades lightly in paper, nest one inside the other and pack it in a separate box. Our packers wrap these items heavily in a paper pad and will place it in a box. Aladdin’s professional packers wrap pictures, mirrors and glass in a thick paper pad and placed into a picture carton. valuable pieces may need to be professionally crated, all at a flat rate. "A great big thank you to Aladdin Transfer & Storage for moving a disabled member of my family across Santa Rosa to her new apartment, with kindness and sensitivity. The cost was reasonable, and every aspect of the move was well done. I also appreciated the interaction by phone and email to keep me informed in the planning and completion, as I coordinated from my home in Canada. Many Blessings. Gale A."